This lithograph's retro design calls to mind the pre-war WPA travel posters of the 1930's. 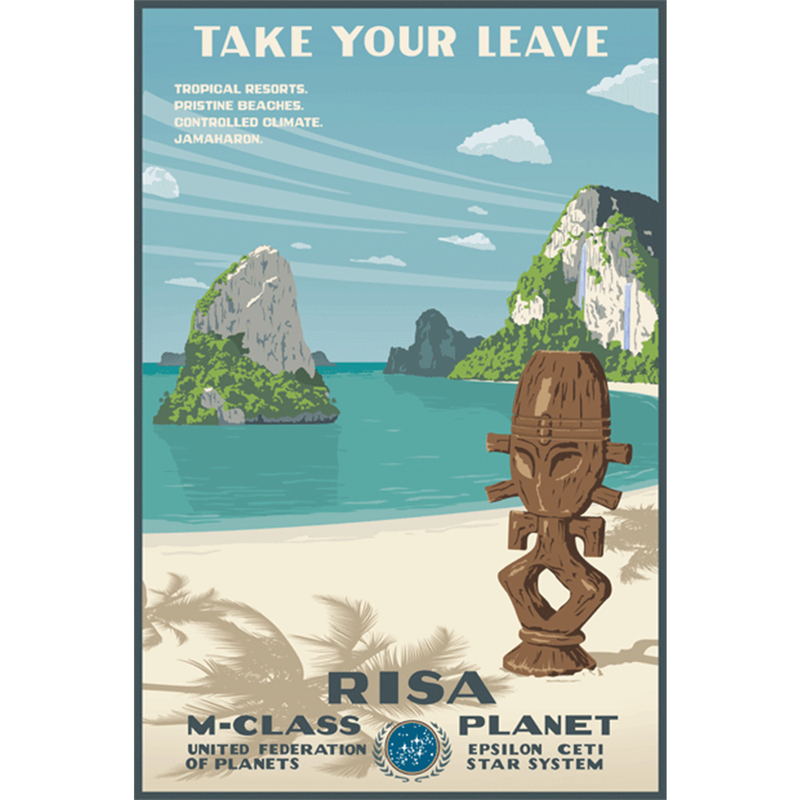 Printed on heavyweight cardstock, its tropical colors and serene mood gently beckons you to visit the pleasure plant of Risa and experience all of its wonders. The scene shows off the local Horga'hn statue found in the region. Don't forget to display yours prominently. By artist Steve Thomas from Bye Bye Robot. Came in great condition and it’s amazing! It took a long while to get but either way it came and it’s perfect!